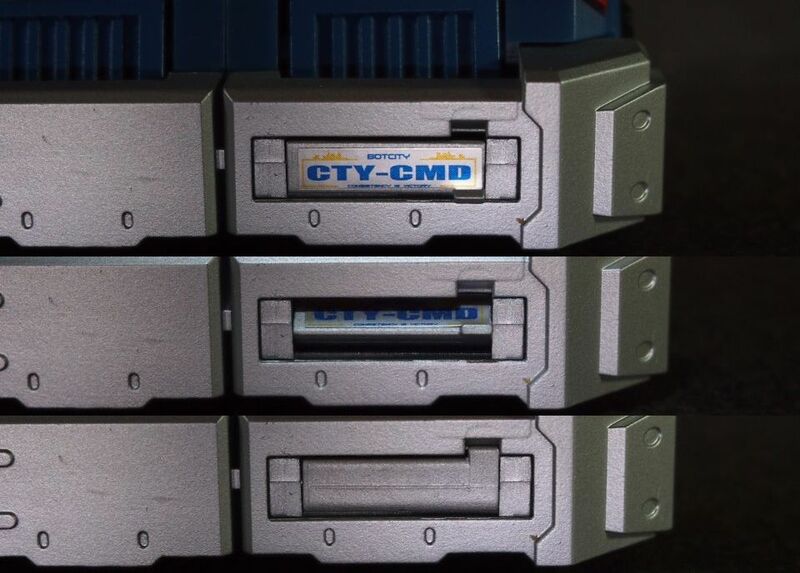 Parallax City Commander/Ultra Magnus Trailer Set (Voyager Class, FansProject) – These Are Not Toys! Finally! 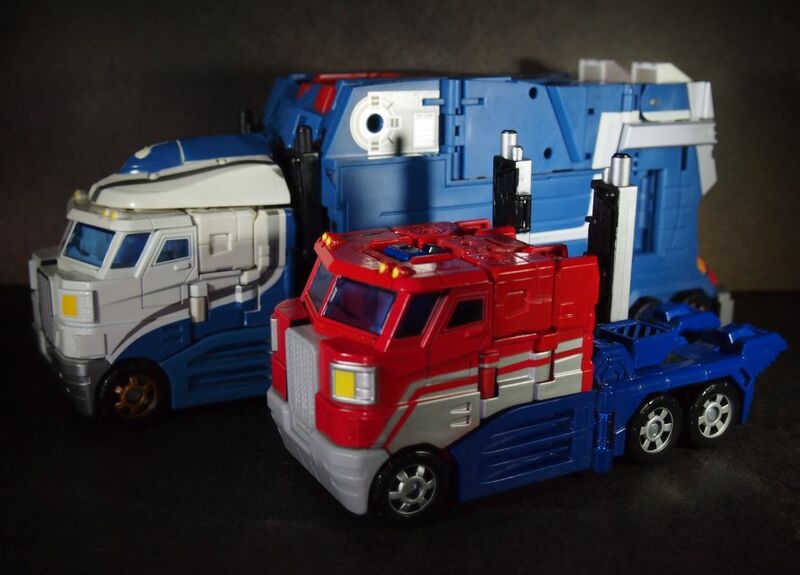 Years after admiring it in an online gallery I managed to get a hold of the set that started the 3rd Party Transformers craze. 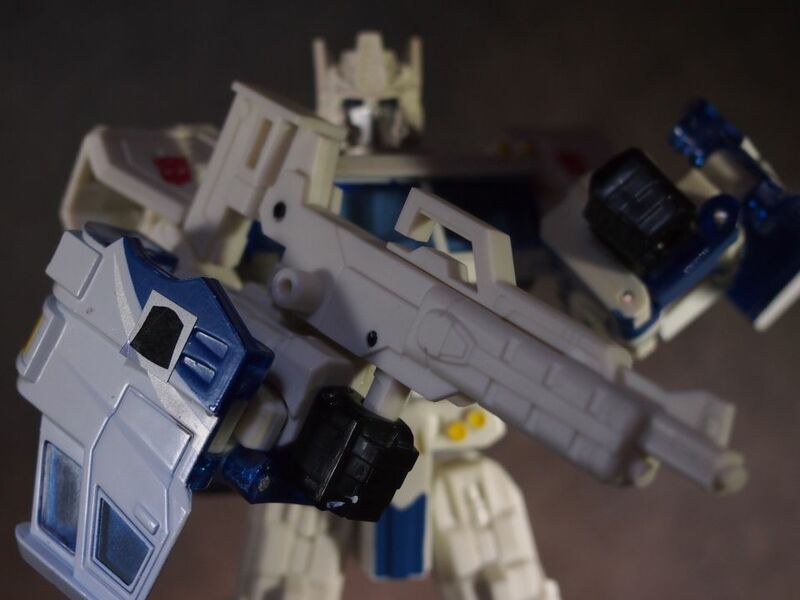 No, this is not the first product aimed at upgrading official Hasbro’s (or Takara’s) releases, but this is the one that gathered enough world-wide recognition to introduce the idea that such accessories (and eventually whole toys) can become a regular area of interest and source of income for a number of companies. 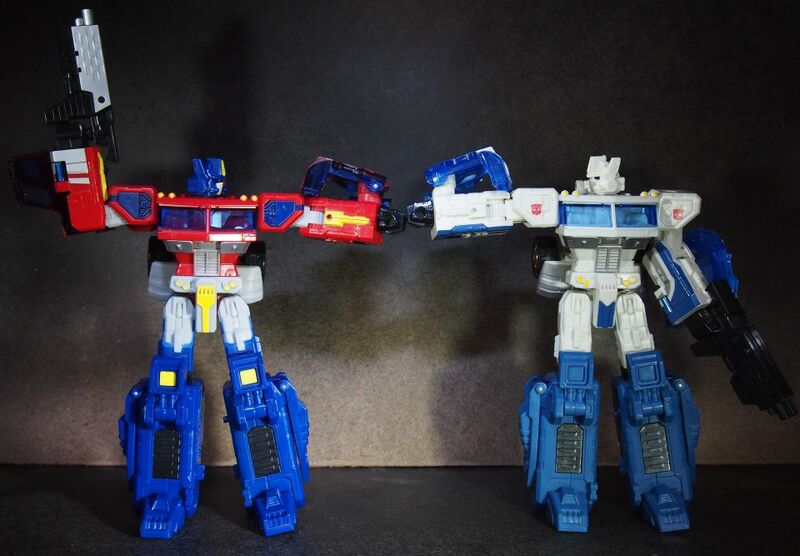 And this lead us to today’s interesting situation of the Transformers market, where we can actually browse through various versions of 3rd Party representations of classic characters. Yay, competition, always a great thing for fans and customers! One can’t help but wonder when Hasbro finally does something about it. Hopefully they won’t file a Death Star-sized lawsuit against all 3rd Parties, but rather tend more to the quality and creativity of their own lines. So yeah, you see how bad it is. 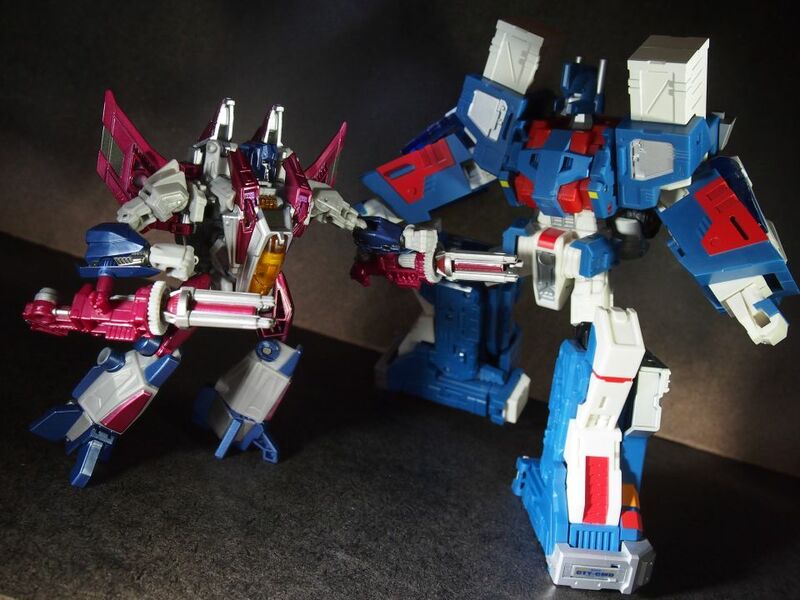 And that’s why Primus invented 3rd Parties! 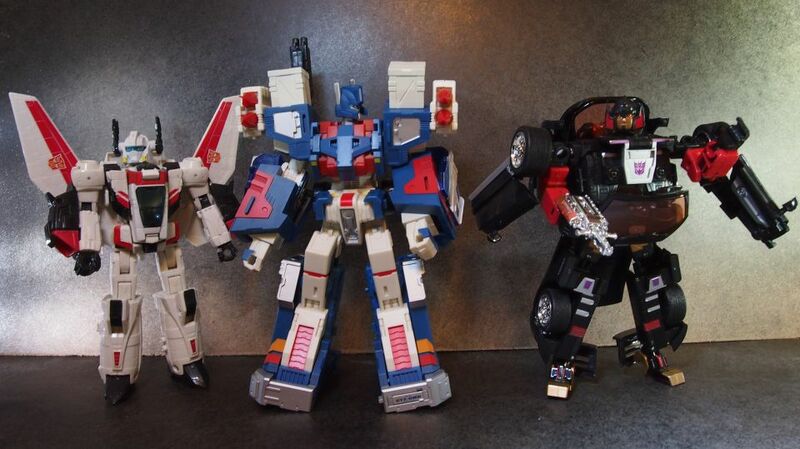 Here is FansProject with their breakthrough design. Much more like it! 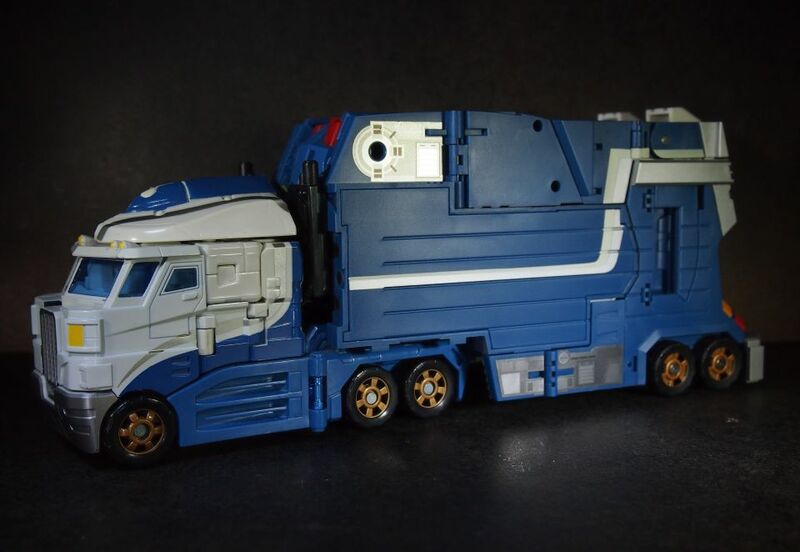 As the title says this thing is a trailer set, so it does require a truck to fully show its potential. 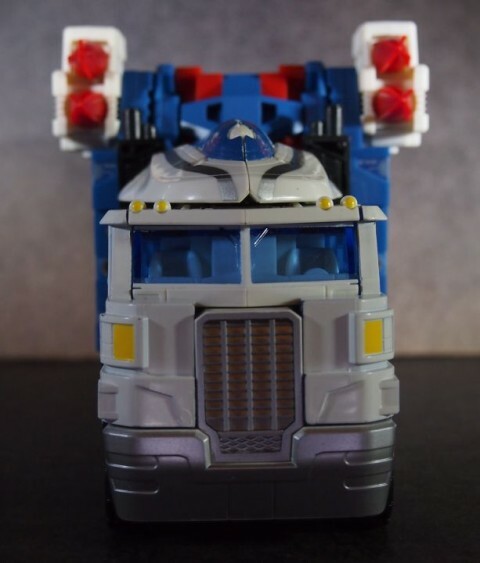 I was lucky enough to grab a Classics Ultra Magnus as well, so the very figure that’s supposed to go with the FansProject set. How awesome am… cough… is that! The trailer fits the truck so perfectly that it’s hard to believe the two pieces were produced by two completely different companies. The huge load’s color scheme neatly continues the theme of blue and white with silver trimmings, going a bit wild (but nothing too over-the-top) at the rear area by adding some extra red. The rear doesn’t necessarily look like something that you regularly see in front of you blocking the highway, but I can imagine some kind of fancy promo truck like that. Or maybe even a mobile HQ for some extreme-sports-related team? What I mean is: it looks unusual all right, but not totally out of this world. A truck with an attitude! The rear… door (stretch your imagination a bit, people!) 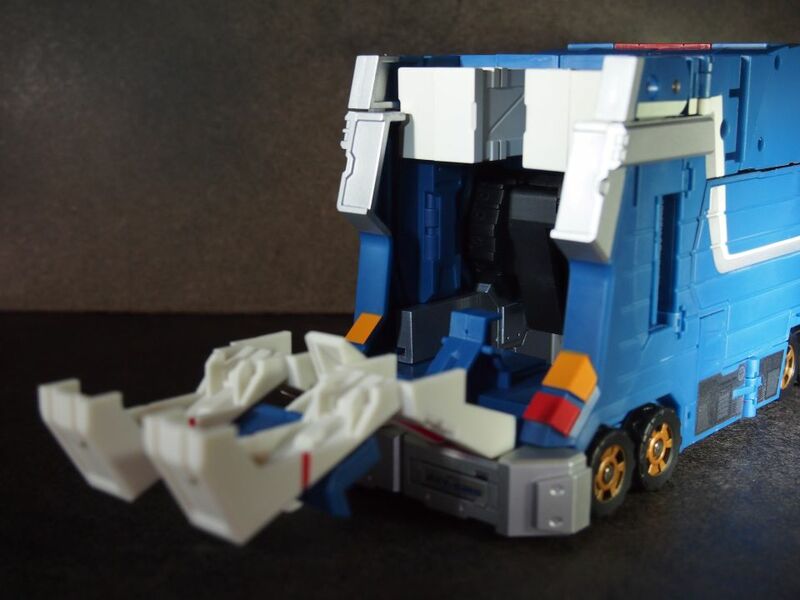 opens up, but as you can see the actual inside area is really small, so no Deluxe buddies in car mode taking a ride there. 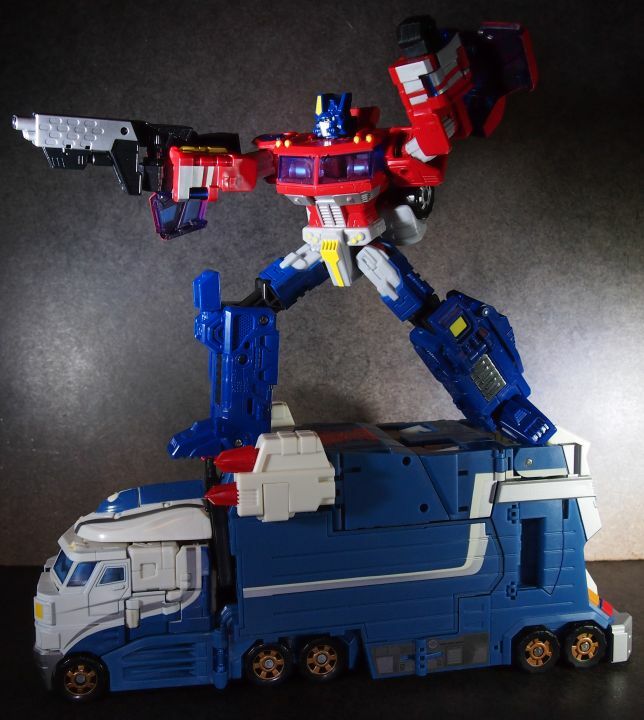 Yes, this is no Optimus and it’s even marked on the license plate. Yup, it’s City Commander from Bot City! 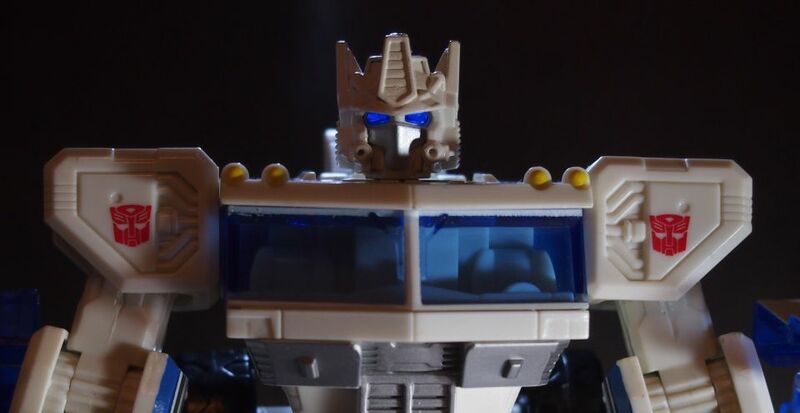 And in case he gets too much heat from Decepticon patrols, he can smoothly swap license plates (if you have a spare, which I don’t, but I consider preparing something custom-made, maybe referencing Magnus’es official name for change). The plate is a sticker from the set that was included with my City Commander. I write ‘my’ because this is the 2009 version and I’m not sure what exactly came with the original set, I know that some minor changes are involved. The labels here were mostly small but designed and arranged with care to add a nice final touch to the overall look. You can see some of them here simulating vent grates on the side of the trailer. Weapon ports! 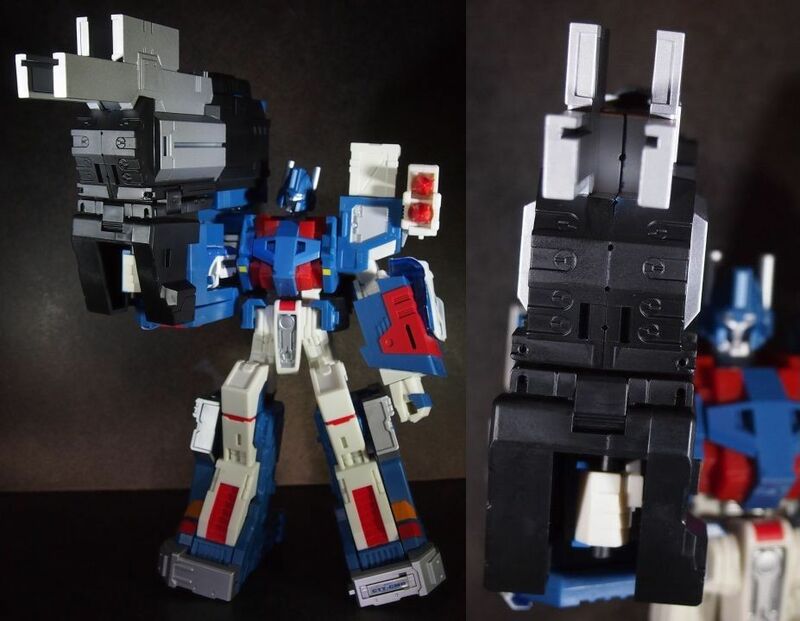 The white missile launchers with short red projectiles are an obvious reference to Magnus’es G1 cartoon look, with the additional implementation of the golden armament rule: double the barrels, double the fun! The silhouette of the vehicle with the missile ‘ears’ also immediately gained a more familiar feel. The set comes with one more weapon: a laser rifle, which also can be inserted into one of the ports. 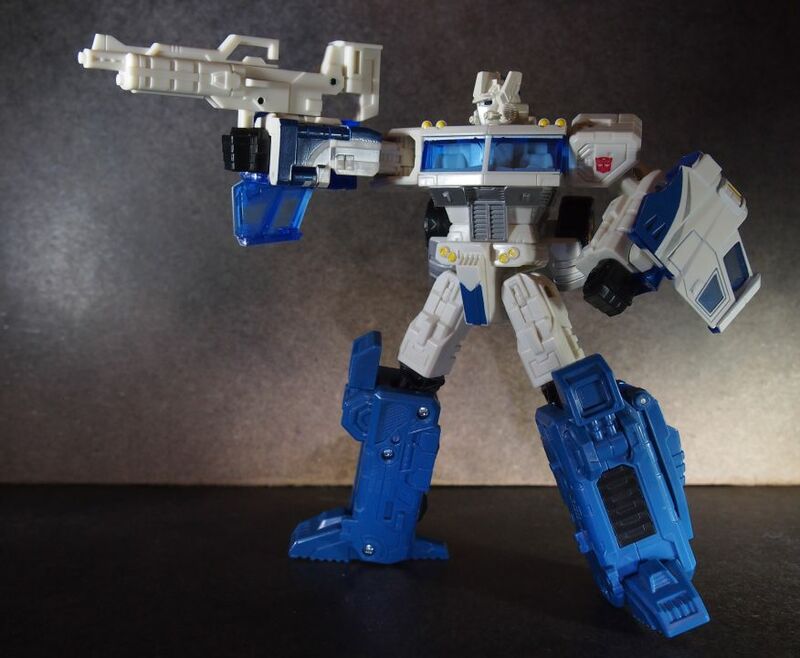 This will naturally come in handy in the robot mode as well, so let’s take a peek at ‘bare’ Classics Ultra Magnus wielding the rifle. But wait, is it the same rifle? Let’s take a closer look. 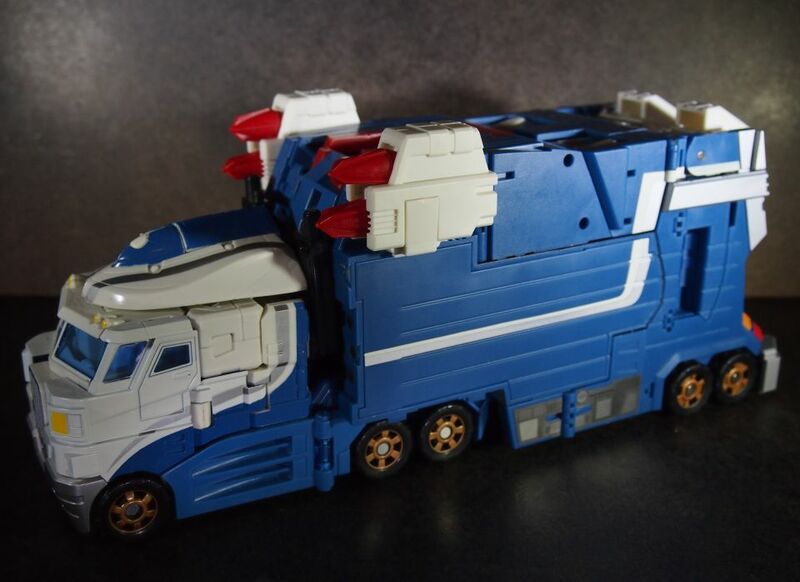 Yes it is but it transforms a bit when held by Magnus: it becomes longer with a supporting stock. Nice gimmick, especially considering it only works for the armor-less robot form. Time for comparisons. 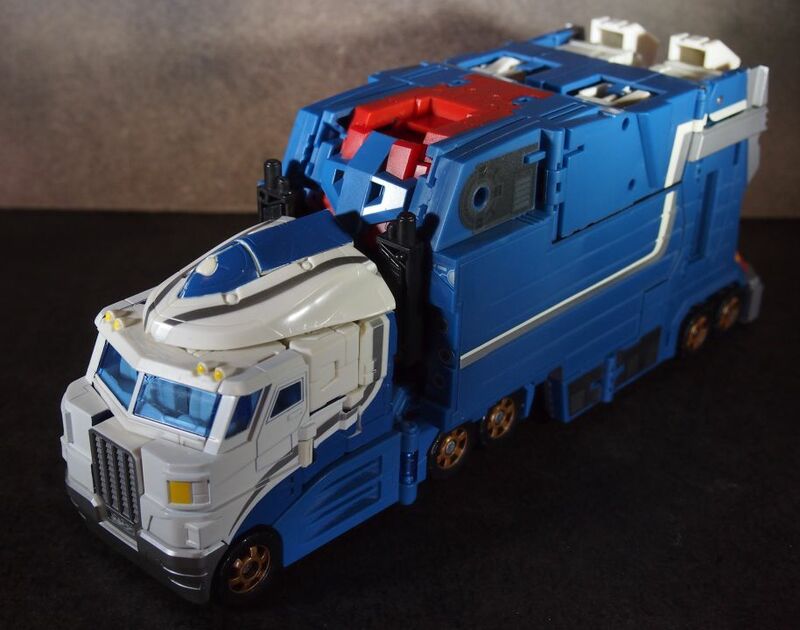 Since Classics Ultra Magnus is a well known mold both in shape and size then you probably already have a good idea as to how large is the trailer. So I will only throw in his red and blue counterpart for few takes. City-Commandering Magnus and Opie. As you can see, I misplaced my red wind vane piece a while ago. I must admit I always keep my Classics Optimus in his robot form on the shelf and I just hate how this thing looks in gun mode, so I don’t really miss it that much. Apart from when I want to photograph him in the truck form, which apparently happens a lot lately. Go professionalism! 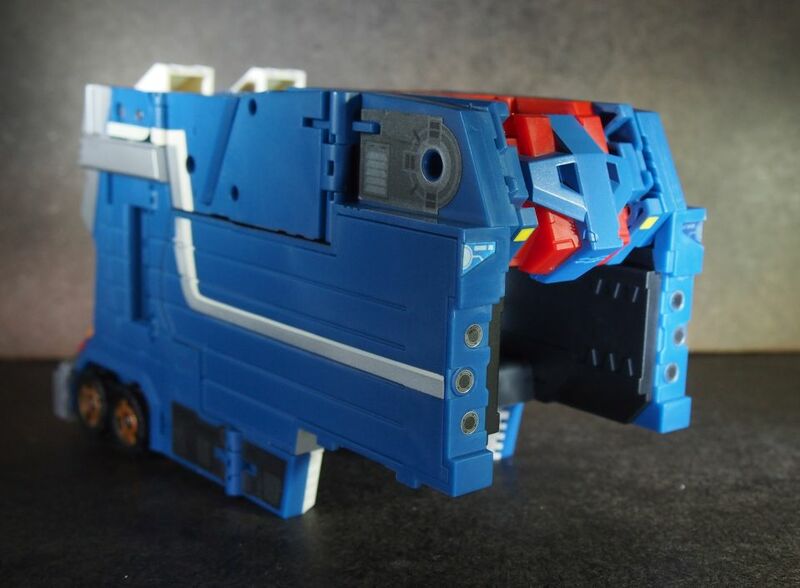 You might have noticed (in the photos here or on your Classics figure) the square shaped piece on the rear of Optimus in truck mode. This supports the theory that Hasbro originally meant to release a trailer for him, but dropped the idea for some reason. 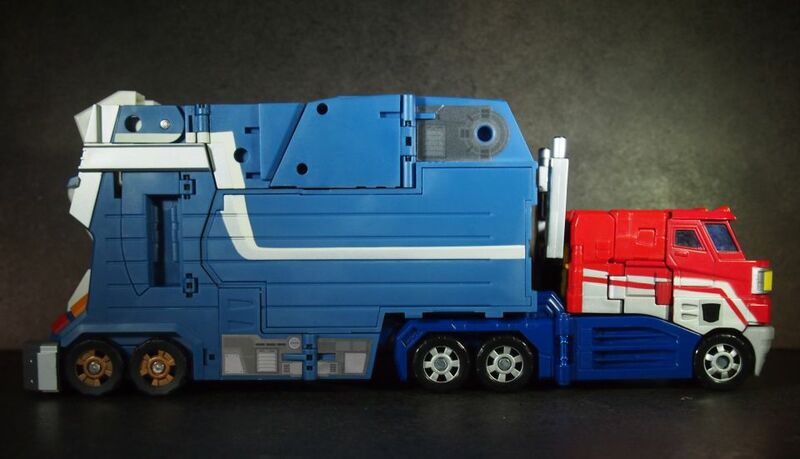 This of course also means that Optimus, being the same mold, can haul the trailer too, no surprises there. Let me add at this point that he can use the armor just the same way Magnus does, only looking worse in terms of colors, so I won’t show him wearing it. To get the idea come back to the picture above: it works but the blues don’t match and Opie brings in more vibrant red. 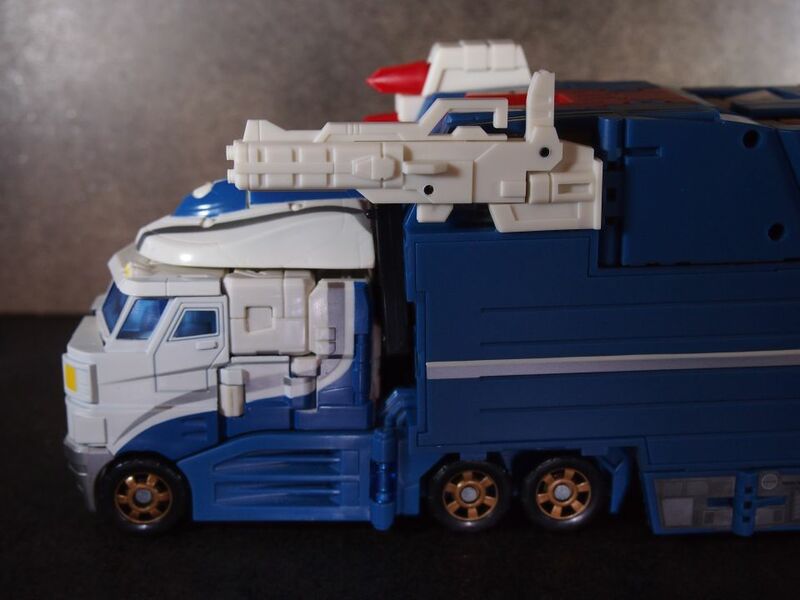 That means that you can consider getting the City Commander set without owning Ultra Magnus and having only Optimus as the wearer, but the effect won’t be so aesthetically satisfying. Activated! Now that face is very familiar, both from the G1 era and as the relentless cybertronian criminal-hunting officer from IDW comic books. Let’s see him in his whole glory and check posability at the same time. 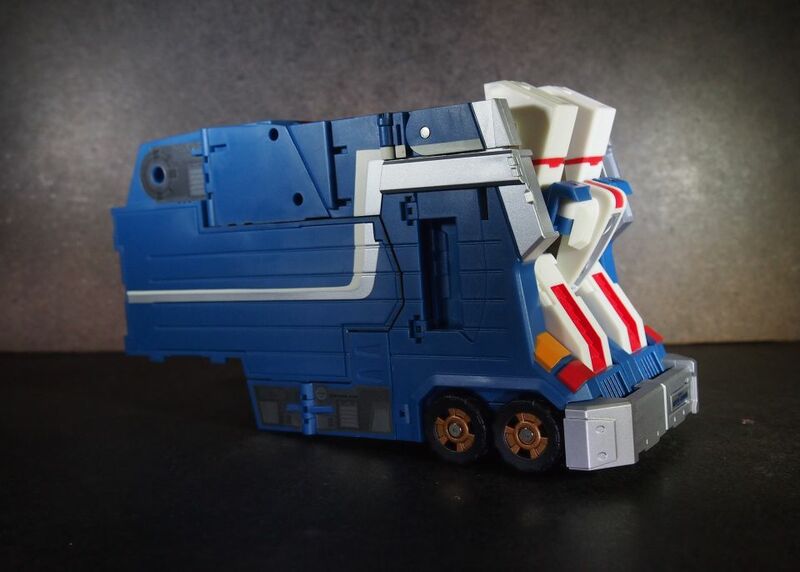 I know it seems hard to believe at first glance, but the original robot body is inside. 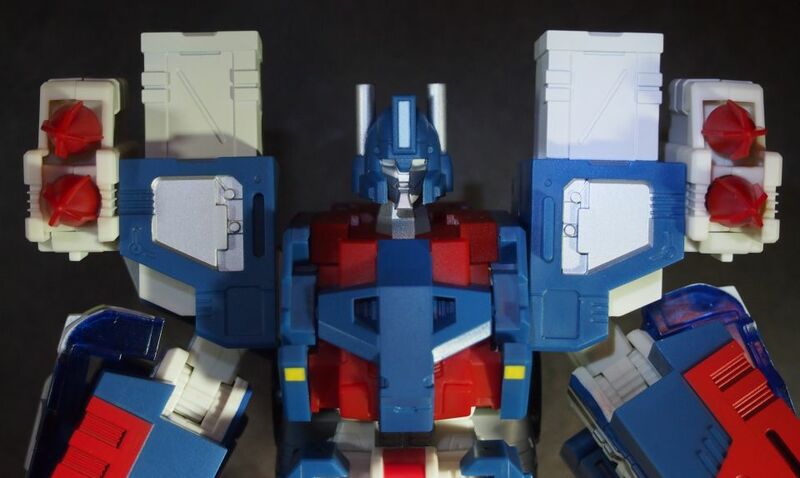 And the only thing that’s half-transformed for that purpose is the head retracted into the chest, everything else is used exactly as one would expect: the figure inside is literally wearing the armor. 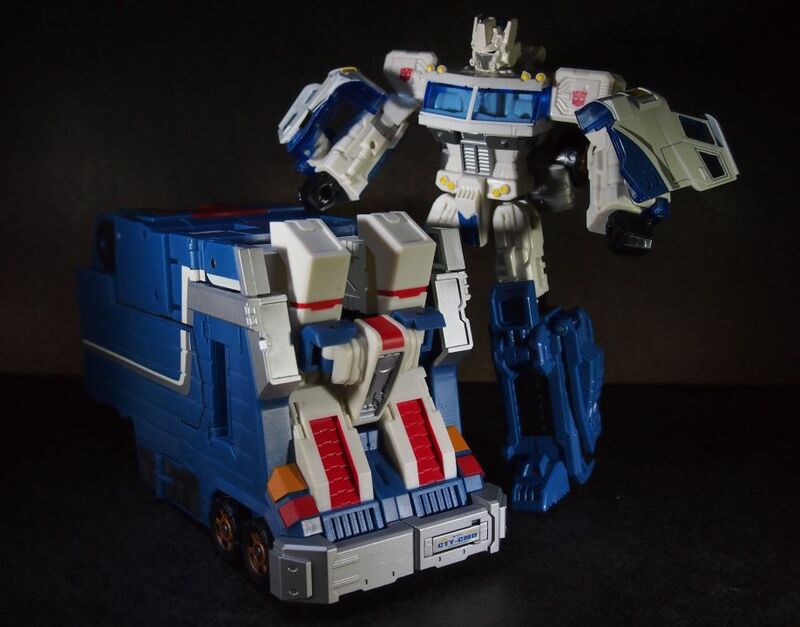 In terms of articulation City-Commanderized Ultra Magnus follows the lead of his Classics component from the waist down, even adding an additional ankle joint, so it’s all great down there. However… The most annoying part of the armor in my eyes is the crotch piece which keeps on sliding off whenever you look at it the wrong way. This happens due to it having no actual means of attaching to the body underneath – it just kinda slides onto it and is supposed to stay by sheer power of belonging there, I suppose. So, if you notice the piece crooked or slightly slid off in pictures here, don’t blame me, blame the designers. Which is odd, considering the awesome rest. Well, awesome apart from one small detail concerning the transformation process: putting on the leg pieces is a pain. And I don’t mean a nuisance, I mean it makes you shiver every time you do it, with each loud click threatening to signal something just broke. 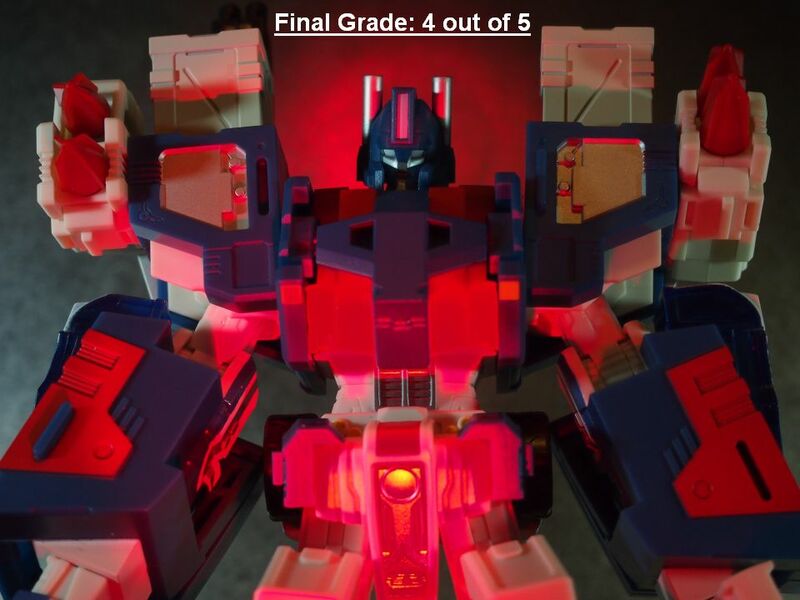 It’s ironic how the crotch piece is just placed there and the leg pieces require you to force them in praying for another lucky outcome NOT involving your expensive toy being damaged. I really wish they had balanced those elements… As for the upper part of the body, it suffers some limitation resulting from the bulk of the armor: hands cannot bend all the way in elbows and raising them higher makes the shoulder-straps detach and eventually move up, but it’s really no big deal. It surely doesn’t mean that Magnus can’t pull off dynamic poses. 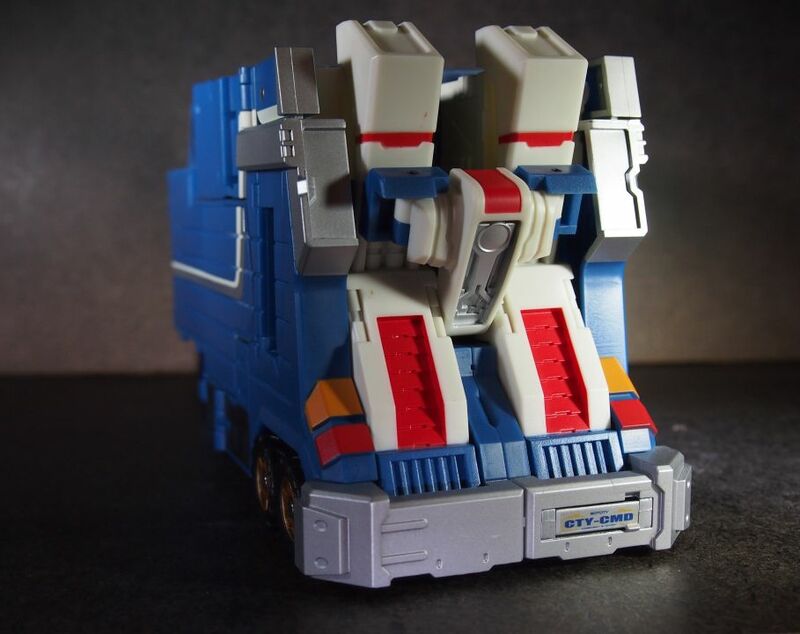 I believe Starscream is in for a ride in the holding cell of Magnus’es shuttle. 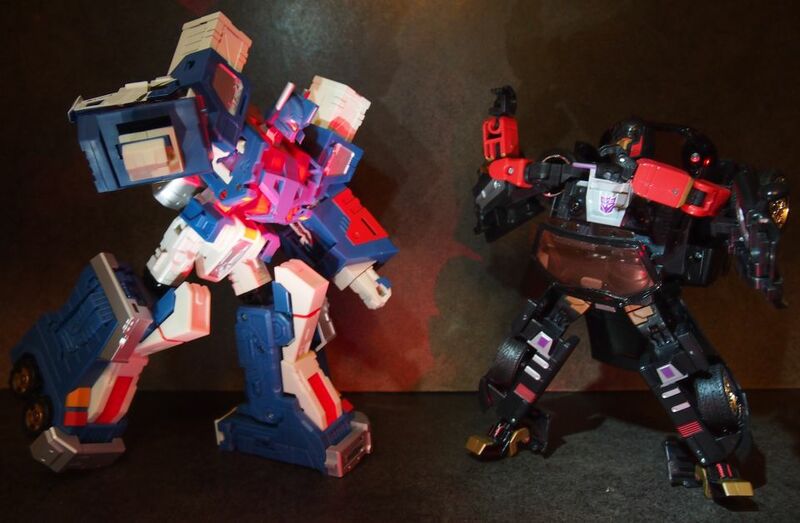 Oh and since another figure already appeared, now would be a good time for some actual size comparisons. Whoah, Magnus surely grew his share. Remember the very same mold is inside there. Now, that’s some up-armoring! Let’s see how big Magnus is now. Ok, he ain’t a Masterpiece yet, but… there is this feeling of uniqueness and special care being put into representing the character’s look. Let’s get down to weaponry. 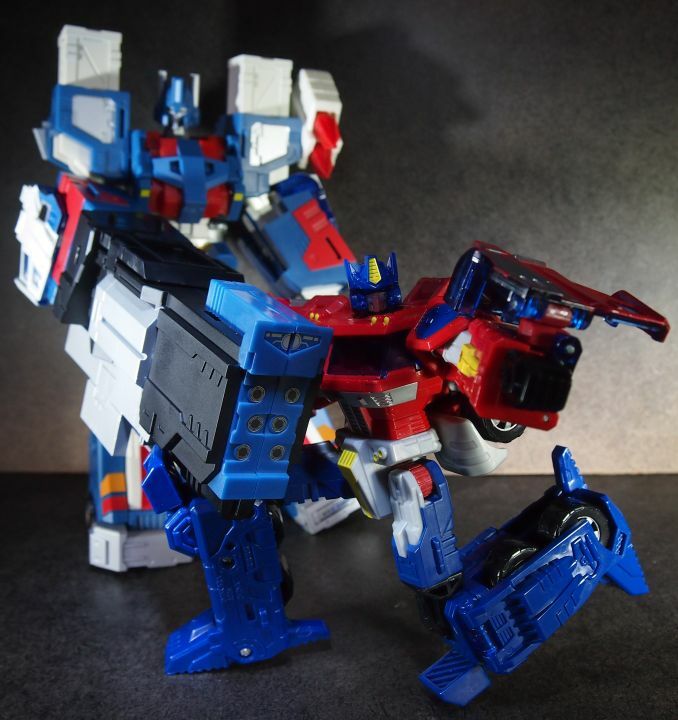 Large Magnus has a similar grip to his smaller version, so he can wield the regular Classics’ guns. But that’s boring, so these can be put aside on his back. Each of the shoulder armor pieces has dedicated slots for one weapon. I personally like how the black gun looks attached there but the white one looks silly, as usual, so I prefer to leave that space unoccupied. 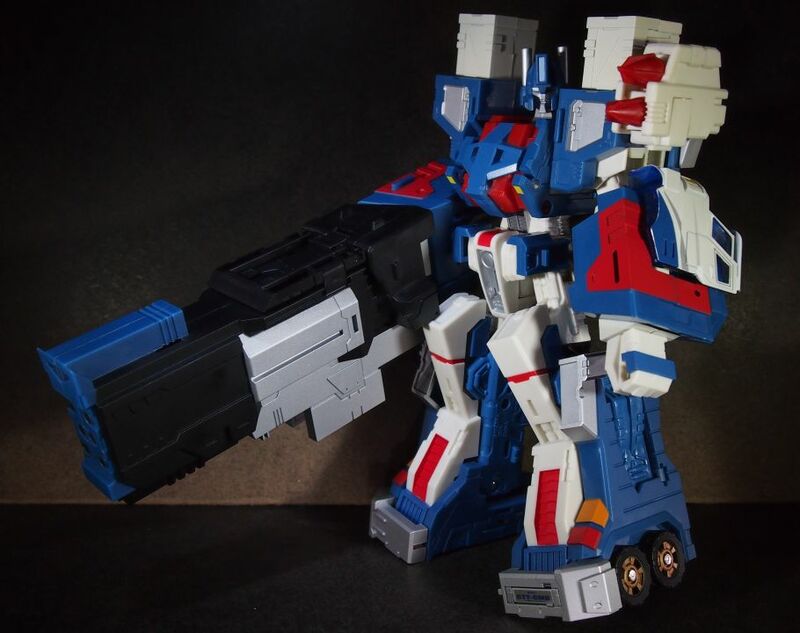 The weapons that you’ve already seen here are the missile launchers and the extendable rifle (which armored Magnus can hold only like that, folded). But if you think that’s it for City Commander weapon stash… you are mistaken by far. 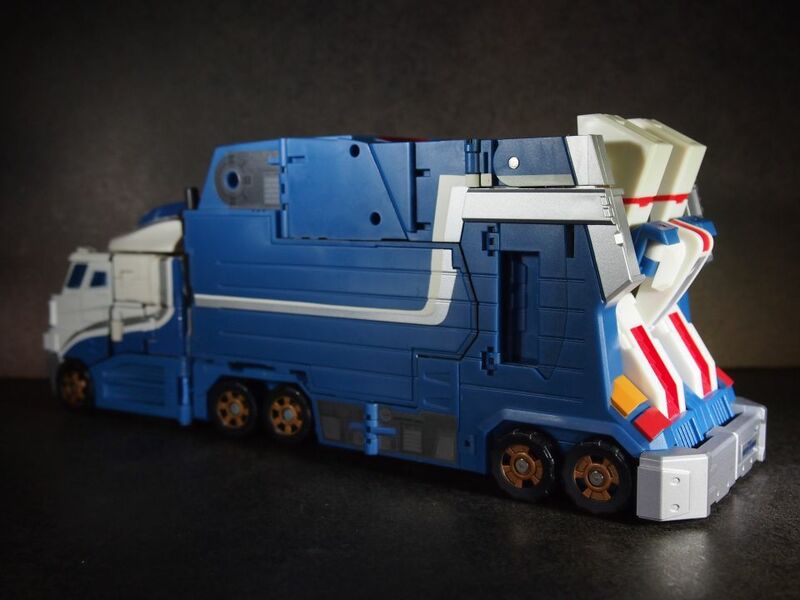 You see there’s a piece of the trailer remaining after the transformation that has no other purpose than to be used now. A big piece. When you fold it in a different way it becomes this… BFG-type weapon. It still looks absurd, but this time it’s this over-the-top manga-weaponry kind of absurd, so I can see it being used for display or photos – at least for parody’s sake if nothing else. Of course Magnus can’t raise something that big himself (insert a That’s what she said joke here), so to make him aim it some kind of support is needed. 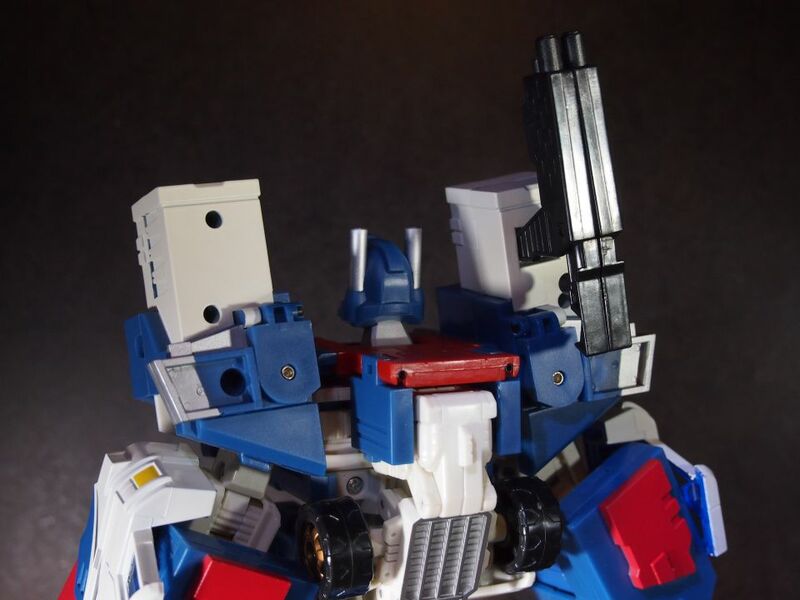 Also, the visible blue piece along with stickers functioning as muzzles add a lot to this form of the gun, making it passable. Although I still think this element of the trailer could have been used much more efficiently. 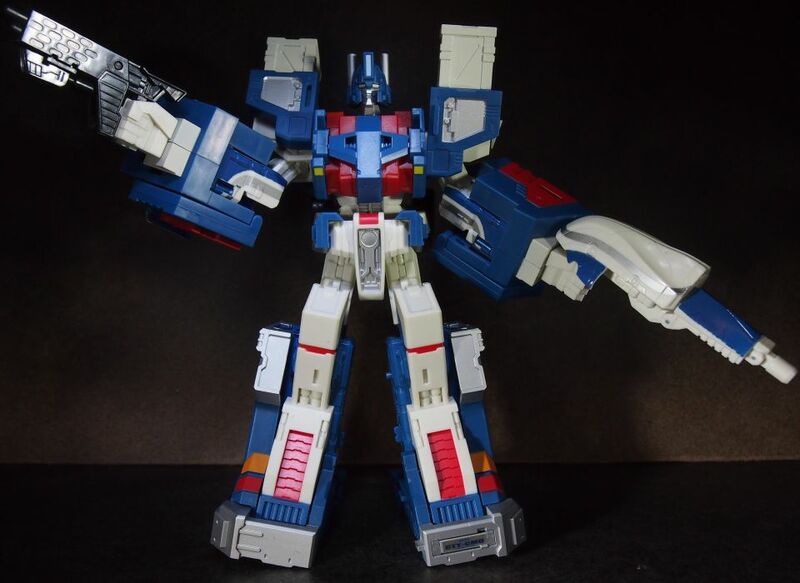 As a conclusion, I would call Ultra Magnus with the City Commander set impressive. He makes a fantastic impression when standing on the shelf or being photographed next to other Transformers figures, in both modes. 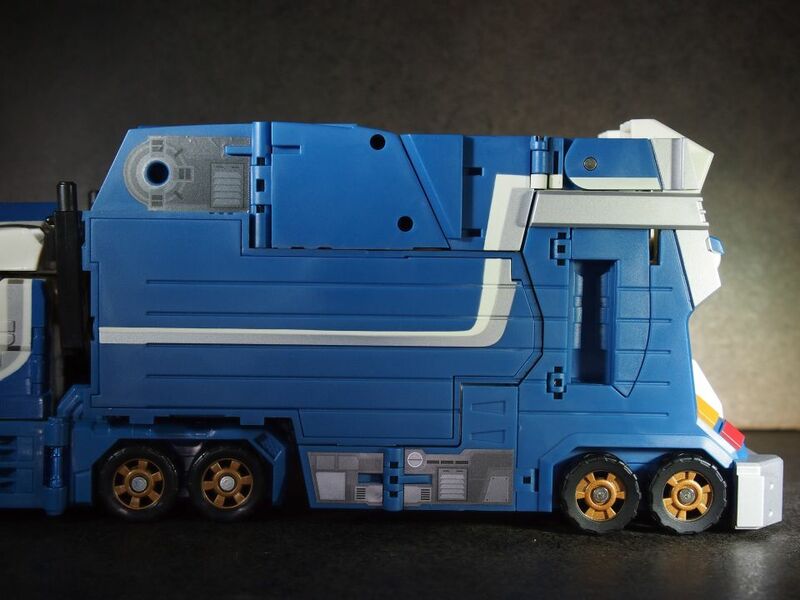 The truck is futuristic but believable and the robot looks purely awesome. I must confess I was considering getting the Shadow Commander set instead, which is meant to go with Nemesis Prime recolor of Classics Optimus, so everything is set in blacks and grays, but I’m glad I went with this version in the end. 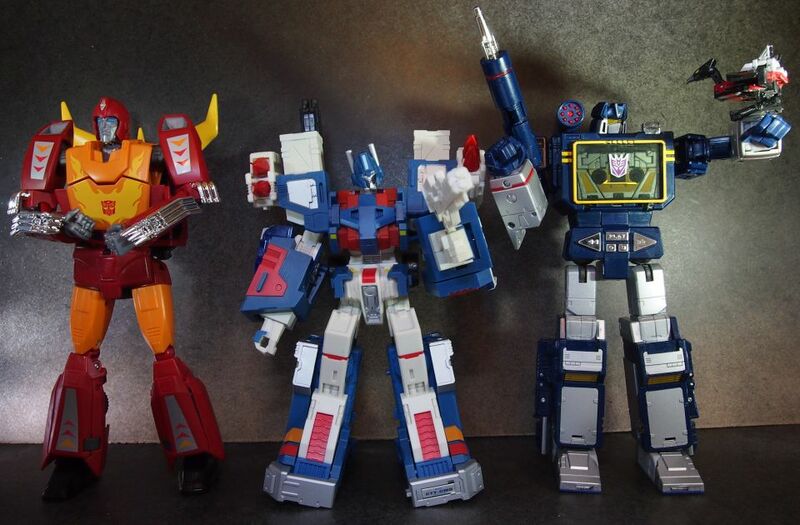 The colors are so vibrant and complement each other really well and the look just screams the G1 character’s name. 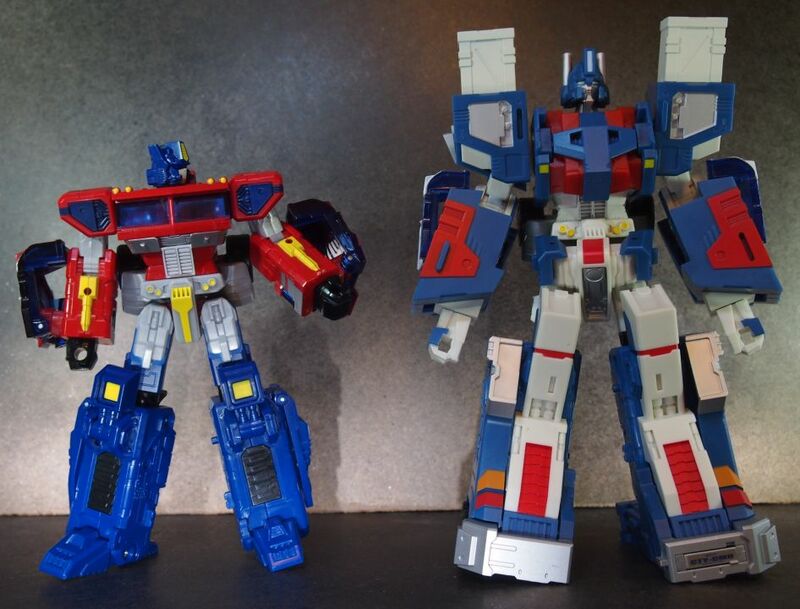 At the same time the modernized shapes make Magnus look imposing and strong. When you add his somewhat limited yet still satisfactory articulation, you get a Transformer that easily pulls off the look of this uncompromising law enforcement officer from IDW’s plotline. On the other hand he has noticeable flaws. The crotch piece made me swear loudly when during posing him I was numerously forced to go back to a seemingly ready scene in order to straighten up this ridiculously loose element. The leg pieces make me shudder at the thought of transforming him again, which is sad, because I am really fond of the vehicle mode as well. And the shoulder pieces tend to pop out when you move the arms too much. I’d say he reminds me of a certain Masterpiece figure that I have: Skywarp. I mentioned in MP Soundwave’s review that Skywarp delivers big in terms of looks and design, but isn’t too welcoming when you want to play with him. 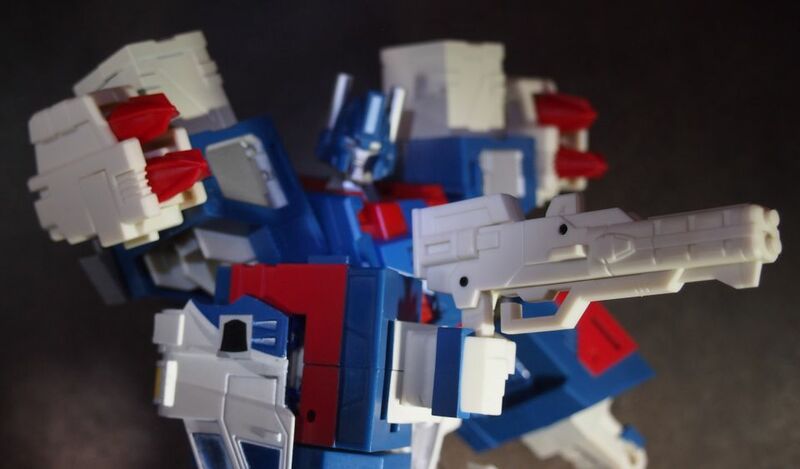 And the same goes for City Commander Ultra Magnus: he is an incredibly awesome display piece, perfect for a properly exposed shelf space or diorama set. He also won’t disappoint when used sporadically, for example for occasional photo shoots. But using him regularly for activities requiring a lot of handling, like a running photo-comic or a periodically rearranged exposition – now that could become a source of frustration. I’ve been planning to get my hands on this set for quite some time now (virtually from the year it was released) and I am extremely happy it finally joined my collection, taking a proud place in my showcase. 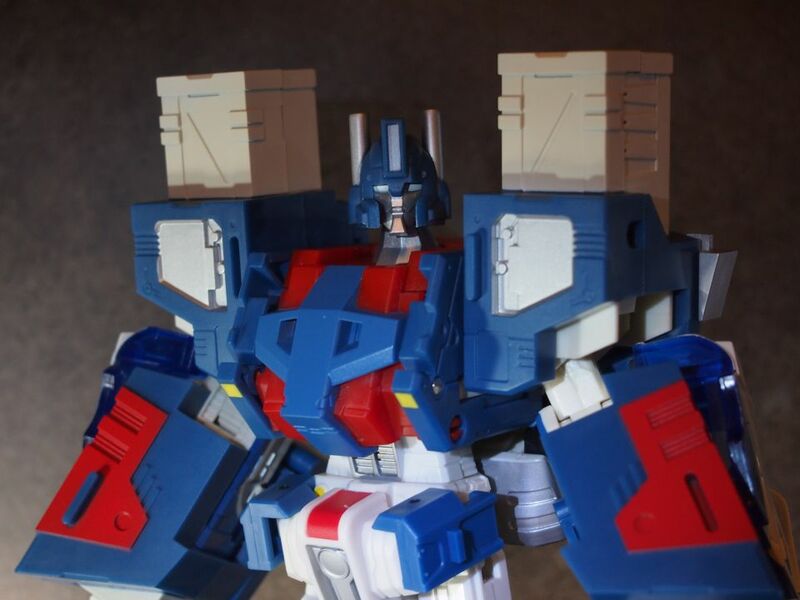 And I will surely get Ultra Magnus out now and then, mainly to appear in other reviews. 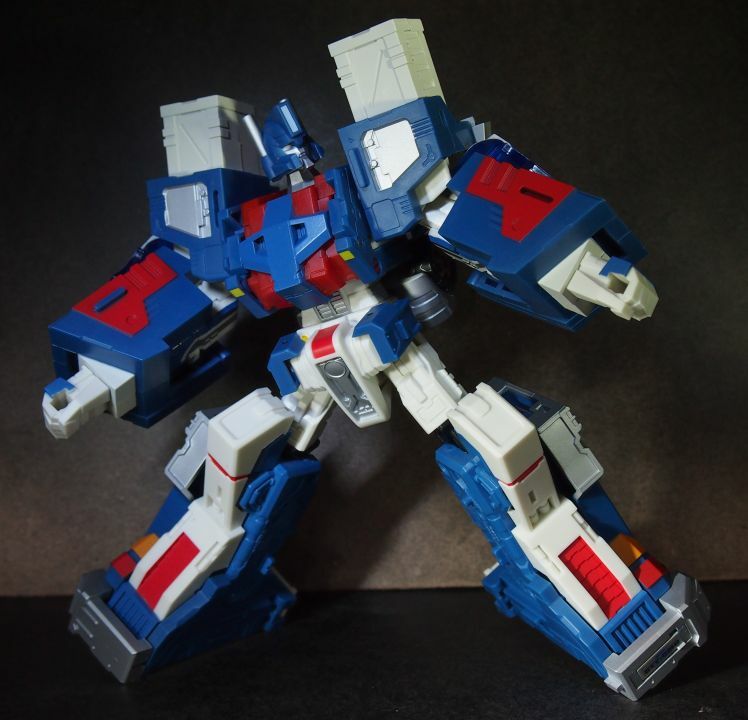 But that’s it, no playing with him on regular basis, no posing just for fun, no transforming! So if you consider getting him you must decide if this kind of purpose suits you too. Or brace yourself for a share of hard time. Who knows, maybe through extensive training you can get accustomed to handling him and learn to do it easily. I can’t seem to, but I just don’t feel the need to either. These Are Not Toys! | Powered by Mantra & WordPress.